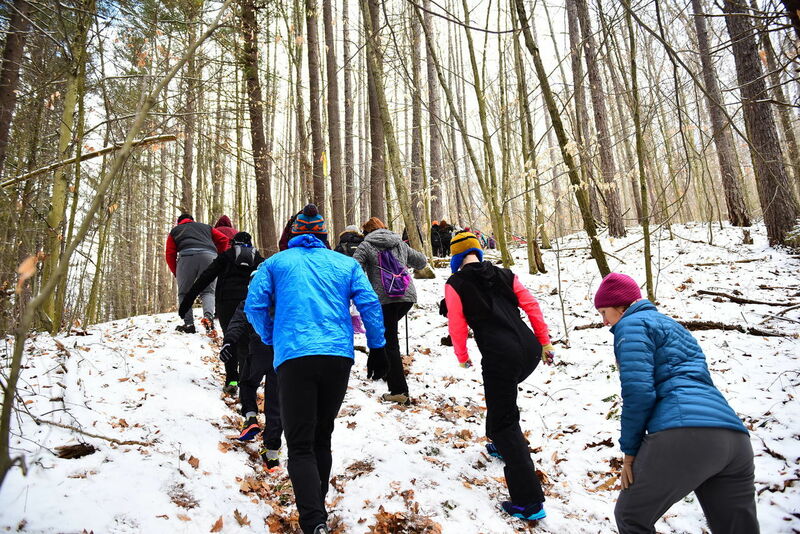 Climb up 1,100 vertical fee of trail from Ansonia valley to the summit of Mt. Tom with views into the PA Grand Canyon and to the west. After catching your breath and those awesome views, continue a short distance along the ridge before descending most of the way back on a grassy (or snowy this time of year) forest road. Reach the tent at the bottom before 11 AM and you get to do it again! How many laps can you do in two hours? Some type of traction device may be required based on trail conditions (ice walkers, micro-spikes, snowshoes). Conditions will vary with elevation and some areas hold snow much longer than most. Ice is common this time of year.